Since doing freelance design work, there have been many projects outside my norm, that I have been involved with. I love doing baby shower invites, they always so cute and fun. 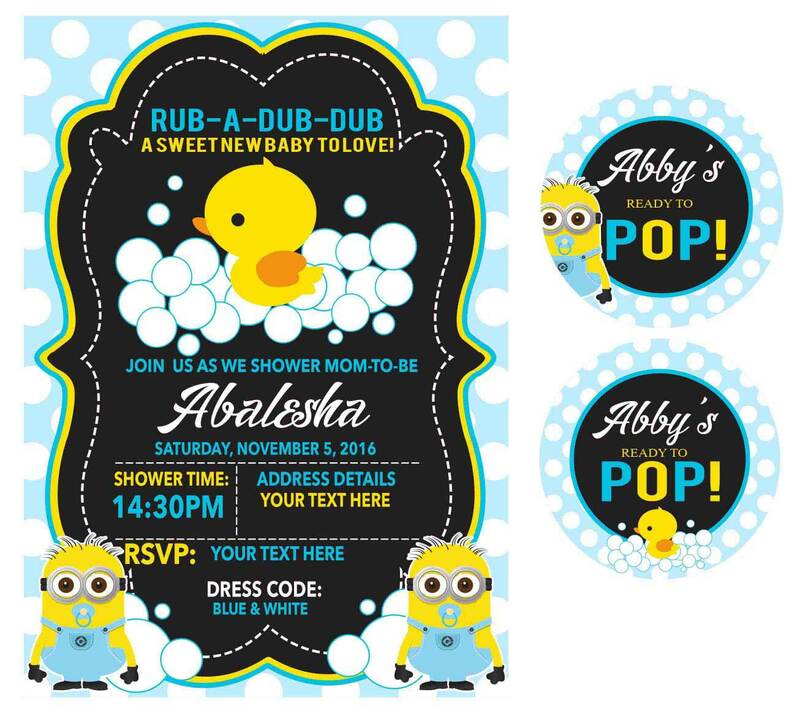 This Minion / Duck invite, with matching call out cards, I designed for one of my work colleagues, for her sisters baby shower. Here is an example of a baby shower invitation.